1. 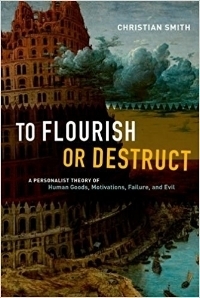 Christian Smith, To Flourish or Destruct. This is an incredibly dense and important book. Smith, a sociologist by trade and Catholic by conviction, argues that we must take seriously the personhood of human beings. Persons have intrinsic, ontological value, dignity, and worth. They are not merely extensions of their social contexts, but have real desires, wants, emotions, and motivations. Persons are inherently oriented towards flourishing, a good life well-lived. I haven't yet begun to unpack all of the implications for pastoral ministry, but there are countless transformative paradigm-shifts here. 2. Harrison Scott Key, The World's Largest Man. This book made my fellow passengers on a flight from Edmonton to Toronto nervous, as I alternated laughing hysterically to myself and crying uncontrollably. 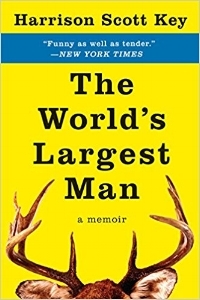 A hilarious and touching story about an artistic and gentle boy who grows up among manly men in rural Mississippi. Super highly recommended.